There will be two kids yoga groups, both for ages 4-7. Saturdays at 11:30-12:30, with Samira, in French. Sundays at 10:30-11:30, with Laura, in Dutch. The semester starts on 22/23 September and comprises of 13 classes. There are no kids classes during school holidays. What makes the Sampoorna yoga kids classes extra interesting are the parallel adults classes, suitable for all levels. While kids are having fun in their playful yoga class downstairs, parents can practice yoga in the adults class upstairs. Parents can benefit from an Accompanying Adult subscription (same price as kids for 13 classes), or use their regular Sampoorna Yoga Studio pass. Reserve a place for your kids – we have limited places (max. 10 kids in a group) so register quickly to secure your spot. The entire Sampoorna Yoga Studio team hopes to welcome your whole family in September! 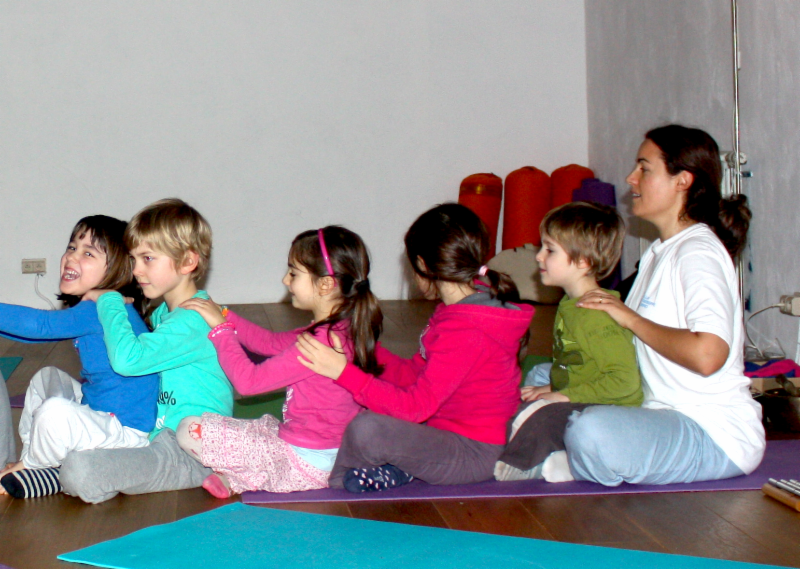 Categories: Sampoorna, Yoga classes, Yoga info | Tags: Brussels, kids, kids yoga | Permalink. The Accompanying Adult subscription is valid for yoga classes at the same time with Kids Yoga, price: 130 euro/ semester. Limited places available, register quickly! Categories: News, Sampoorna, Yoga classes, Yoga info | Tags: Brussels, family, kids, kids yoga, Sampoorna Yoga studio, yoga class | Permalink. Dear parents, the yoga studio where I teach regularly, is now taking registrations for children’s yoga for the new semester: Kids Yoga (weekly classes). 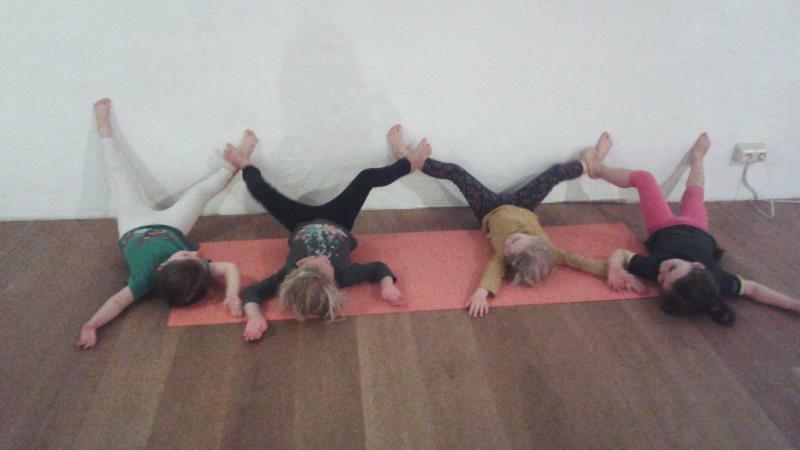 The next Children’s Yoga semester starts on 19/20 September. Places available in all groups. There are parallel yoga lessons for adults. Adults can attend on a drop-in basis (15 euro/class), use their regular Sampoorna Yoga Studio class pass, or take an Accompanying Adult subscription valid for yoga classes at the same time with Children’s Yoga (130 euro/semester or 240 euro/year). Limited places, please register as soon as possible! Yoga has countless benefits on children. 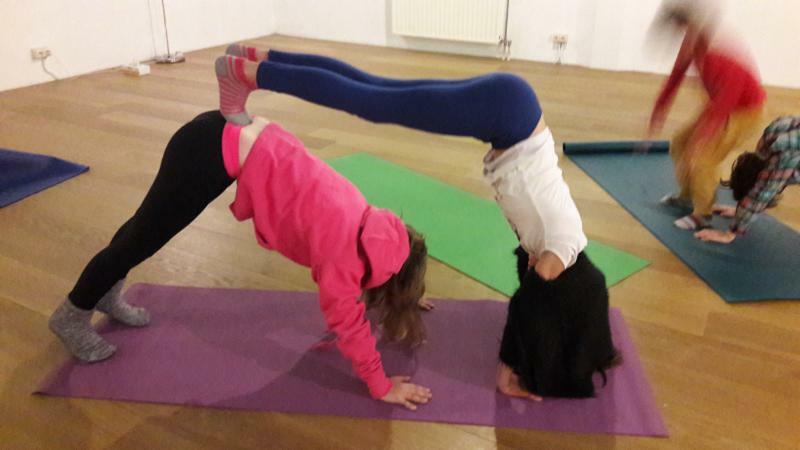 Categories: Yoga classes | Tags: 2015, 2016, Brussels, kids, Sampoorna, yoga | Permalink.